In early February, Google launched three mobile apps in their appsperiment scheme, which leverage such technologies as object recognition, person segmentation, image encoding and decoding, and garnering of user response. This tutorial focuses on one of those apps, Storyboard on Android, in which you transform videos into single-page comic layouts, all on devices. After you have selected a video and loaded it in Storyboard, the app picks interesting video frames, compresses JPEGs, and displays them on screen. You’ll learn how to replicate these features on Android with Cloudinary, a cloud-based, end-to-end solution for storing, optimizing, and delivering images and videos. Impressively, with Cloudinary, you can transform images and videos, that is, resize and add numerous effects to them. 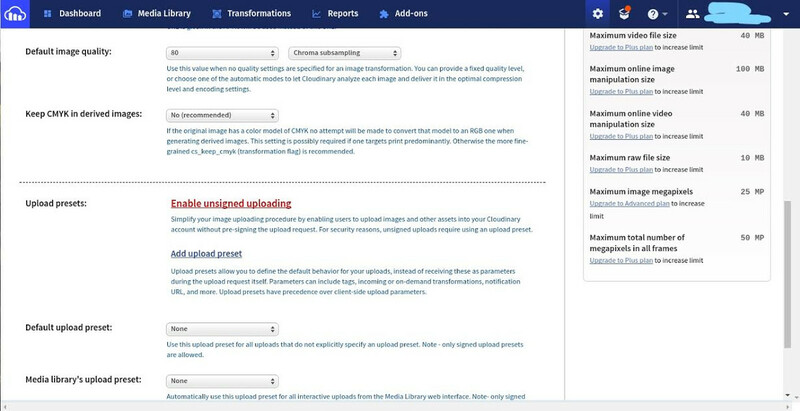 So, to recap, , this tutorial walks you through the process of uploading a video to Cloudinary, in which you then generate, and deliver image thumbnails of any frame from the uploaded file, and render it on screen without having to compress the video. Furthermore, you will add effects to the generated image thumbnails and take them live through unique URLs. As reference, see the Cloudinary post on working with videos on the computer or on mobile. For details on image optimization and its background concepts, read this Cloudinary post. This short clip shows you how Storyboard works. To run it on an Android device, download the app to your Google Drive. While building the app, you might want to check out the source code. As a prerequisite, set up a Cloudinary account.
. Choose File > New > New Project. 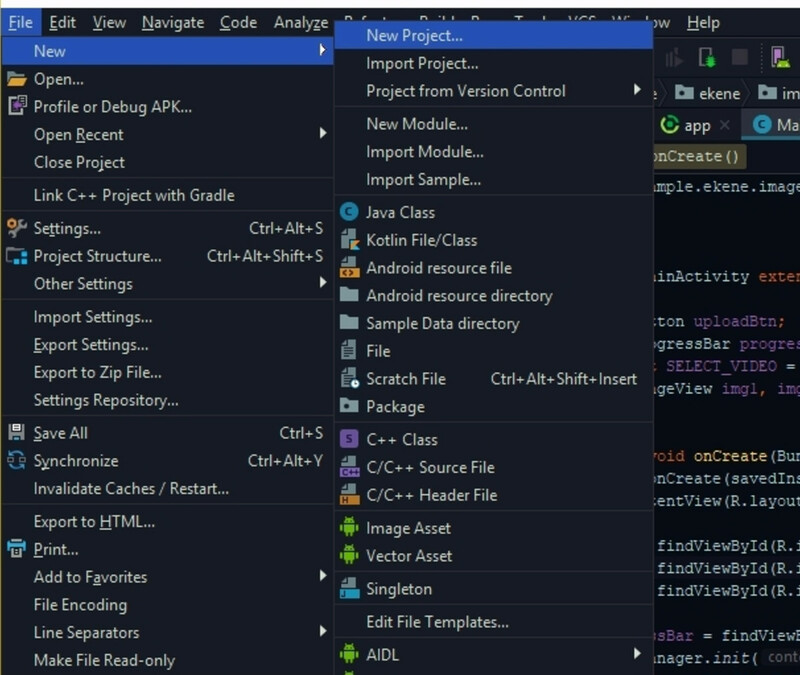 In the **Create Android Project** dialog box, fill in the **Application name**, **Project location**, and **Package name** fields. Click **Next**. 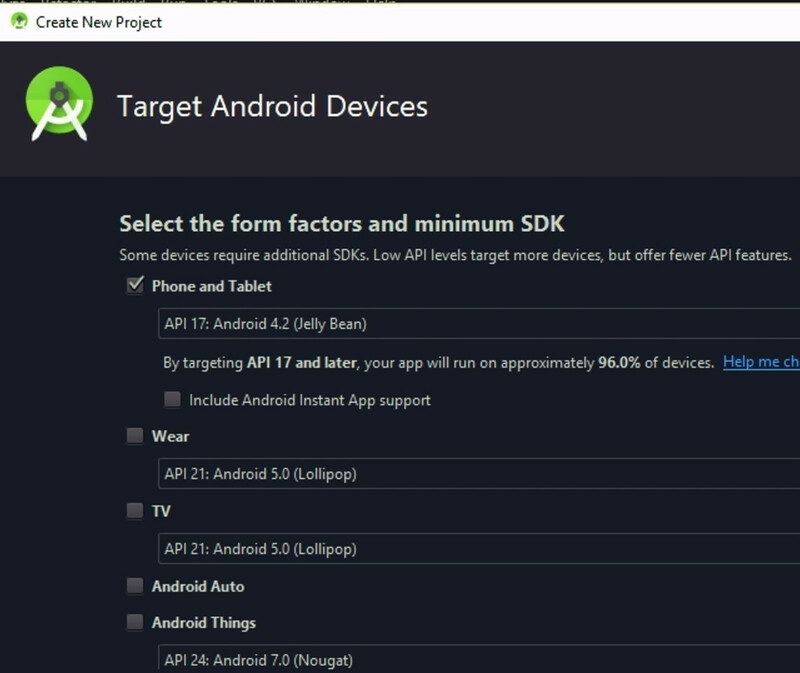 Under Select the form factors and minimum SDK in the Target Android Devices dialog box, select API 17: Android 4.2 (Jelly Bean). Click Next.Select target devices and API levels. In the Add an Activity to Mobile dialog box, select Add No Activity. Click Next. In the Configure Activity dialog box, leave the default settings as is. Click Finish. myCloudName is your Cloudinary name, which is on your console. Note that the Internet permissions are already in the manifest. Subsequently, as soon as you select a video, Cloudinary calls the onActivityResult method, which in turn triggers an upload to Cloudinary. To facilitate uploads, create an UploadRequest method and dispatch it within the onActivityResult method, as described in the next section.. Signed uploads, which require an authentication signature from a backend. For these uploads, your images and videos are signed with the API and secret key in the console. Because those signatures are risky on the client side, which can be easily decompiled, a back-end is mandatory for security. Unsigned uploads, which do not require signatures and are thus less secure than signed ones. These uploads are controlled by an upload preset, which defines the options that apply to the images that are uploaded with the preset. Here, you set up unsigned uploads by enabling them on the console: Select Settings on your dashboard, select the Upload tab, scroll down to Upload presets, and enable Unsigned. Cloudinary then generates a preset with a random string as its name. Copy the name and set it aside for use later. Subsequently, call the onActivityResult() method in MainActivity and set it up. onCreate — Becomes active when the app starts. The XML file in use earlier is the default layout of the activity. You also added a listener to the button, which, on a click, causes the app to call the second method, pickVideoFromGallery (see below). pickVideoFromGallery — Launches the user’s gallery for video selection. This process generates a unique request code in the SELECT_VIDEO variable. Because a response follows a video section, the startActivityForResult() method renders the response on the onActivityForResult() method. If the selection succeeds, so does the response, and the selectedVideo variable in turn holds URI of the selected video for upload. Finally, Culinary calls the onActivityForResult() method (see below). If the selection fails, the process ends. upload() — Takes in uri of the selected video for uploads. unsigned() – Takes in preset name from your console. option() – Takes in resource_type of the upload. callback() — Takes in a new UploadCallback method, which implements several other callback methods that track the progress of the upload. The above onSuccess() method outputs requestId and details from the upload. You then access the uploaded video’s URL by calling resultData.get("url") and the video’s ID by calling resultData.get("public_id"). Subsequently, generate the images from the video ID and store their URLs in a string variable. Afterwards, load the images into their image view objects with Picasso. dispatch() — Defines when and how each upload request runs. You have now set up the onActivityForResult() method. When it receives a response from pickVideoFromGallery(), it creates a request to upload to Cloudinary with the URL of the selected video. Once the upload succeeds, onActivityForResult() generates image thumbnails and renders them on the ImageView objects, which you defined earlier. In case of errors, have a look at the source code. Long code lines can be overwhelming sometimes. For diversity, different manipulations apply to each of the three images. That’s an excellent approach to adopt so as to institute responsiveness in images. This tutorial highlights only a fraction of Cloudinary’s capabilities for transforming images. To learn more, see the related section in the Cloudinary documentation. You are now up to speed with Cloudinary’s outstanding capabilities for transforming images and videos. For details on Cloudinary and its vast array of useful services, check out the documentation.